Sixth year Palo Alto Univeristy (PAU) Ph.D. Clinical Psychology student Nick Grant is currently serving as a member of the American Psychological Association of Graduate Student Committee on Sexual Orientation and Gender Diversity (APAGS-CSOGD). Nick also works with Dr. Peter Goldblum, Co-Director of the organization Center for LGBTQ Evidence-based Applied Research (CLEAR) as a Research Assistant. Nick began his two-year term in Fall 2013 and will conclude his work with the committee at the end of Summer 2015. The committee aims to support lesbian gay, bisexual and transgender graduate students and their allies through providing advocacy, education and professional development opportunities. Some of the projects Nick has worked on during his time with the committee have been participating in the LGBT graduate student mentoring program, contributing to the development of training videos on gender and sexual minority issues, and serving as the committee liaison to the APA Lesbian, Gay, Bisexual, and Transgender International Activities Oversight Group. 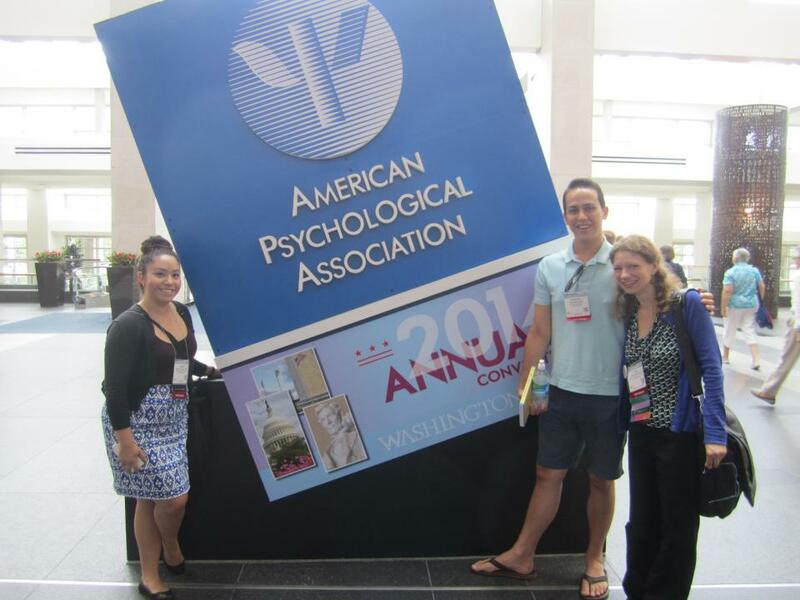 Read more on the American Psychological Association of Graduate Students article "What's in a Name? An Inclusive Name for an Inclusive Committee."